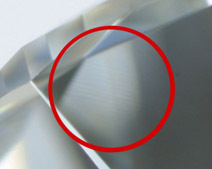 In 2006 the Gemological Institute of America (GIA) added – to colour, clarity, etc – a five-grade, proportion-based cut quality system for round brilliant cut diamonds. What impact, if any, has this had on the market? Certainly, having a quantifiable cut grade has given the round brilliant cut diamond greater marketability and fuelled the boom in diamond branding. Market reports show a clear financial incentive for diamond manufacturers to produce round brilliants in ‘Excellent’ and ‘Very Good’ cut grades. Based on a sample of more than 1,000 GIA-graded, 1-carat non-fluorescent diamonds in a range of colour and clarity grades, those with ‘Very Good’ and ‘Good’ cut grades were priced at 5.4% and 16.4% less respectively than ‘Excellent’ cuts. There were insufficient ‘Fair’ and ‘Poor’ cut graded diamonds for any statistical analysis. The GIA’s cut grade system is based on proportions, with deductions for finish factors of polish and symmetry; the grade is lowered by one if the polish or the symmetry is two grades lower. • Culet – of the 311 stones with data listed, 304 had none (or were pointed), six were classified as ‘Very Small’, one was ‘Small’ and none were ‘Medium’ or ‘Large’. But has cut quality really improved? Assuming that it has, is the overwhelming popularity of gem reports pushing quality improvements in the market? 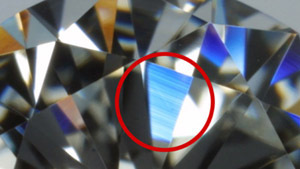 To date, the GIA has not been able to offer a cut grade for fancy cuts (those other than round brilliant) due to the high number of proportion variables. Overall, there are far fewer stones in fancy shapes that would achieve an excellent grade for polish and symmetry. There are two arguments for why this might be. The first is technical: most fancy-shaped diamonds have facets that are close to the octahedral plane and polishing in that direction is near impossible, so ‘brillianteers’ must accept a lower polish grade or adjust the facet angle, resulting in a lower symmetry grade. The second is about money: some believe the absence of cut grades for fancy shapes means manufacturers get less reward for higher standards; ie, they get away with higher yields. Some in the industry are adamant that the GIA’s round diamond cut grade has helped improve diamond cut quality. Yet others argue that improvements are a natural by-product of technological advances in cutting and polishing equipment, and the move away from cottage industry to industrial production, largely in India. Cut is the most important factor in bringing out the overall beauty of a gemstone. Whether it can be quantified – and therefore certified – across all diamonds, and what impact this could have on the marketplace, is the next big question.